Seven years ago, on September l, 2004, I became acting editor in chief of the Journal of Visual Impairment & Blindness (JVIB), assuming the title of editor in chief on January 1, 2005. I became acting editor in chief because of the serious health issues facing my predecessor Alan Koenig--health challenges that ultimately took his life in early 2005. I begin my last editorial as editor in chief with this information because I often think of Dr. Koenig, the tragic and sudden end to his life, and how this loss provided me with the responsibility and the opportunity to lead this wonderful journal. I hope that I filled his large shoes and made him proud. During the past seven years JVIB has experienced a number of changes with technology that have allowed us to increase the efficiency of our operation. We have evolved from paper submissions to CDs, and now to an entirely online process. Technology has allowed us to share final decision letters with the peer reviewers so they can learn from each other. I know from comments I have received over the years that all peer reviewers appreciate this change. JVIB has instituted structured abstracts. 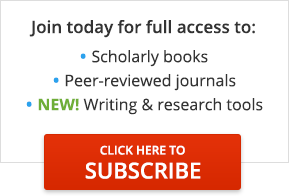 The 300-word summaries are more in line with those of other scholarly journals, and they provide a substantive overview of the full manuscript. Starting in January 2013, the journal will become what is known as an ePublication, offered in a variety of formats, all totally accessible to the reader. I am especially proud of our ability to manage the high volume of submissions. Averaging 120 new submissions per year, my office processed manuscript number 1,000 this summer. As word of my retirement from JVIB became known, a number of people approached me to comment that I had maintained the high standard and integrity of the journal. Nothing more important could be said to me. I have always been humbled by the responsibility of this position; of the importance of JVIB as the archive of the professions, publication in which can either advance or thwart academic careers; and JVIB's role as the repository of information that can improve the lives of those who receive our services. Publication information: Article title: Dr. Geruschat's Farewell. Contributors: Geruschat, Duane R. - Author. Journal title: Journal of Visual Impairment & Blindness. Volume: 106. Issue: 9 Publication date: September 2012. Page number: 515+. © American Foundation for the Blind. COPYRIGHT 2012 Gale Group.